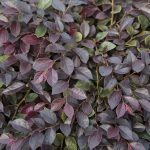 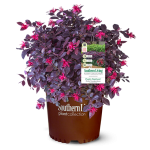 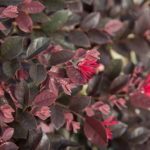 Dark maroon foliage covers this compact Loropetalum in the spring. 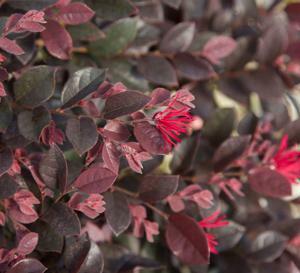 Pink, ribbon-like flowers bloom in spring. Has a mounding growth habit, reaching 2 to 3 feet tall and 3 to 5 feet wide. 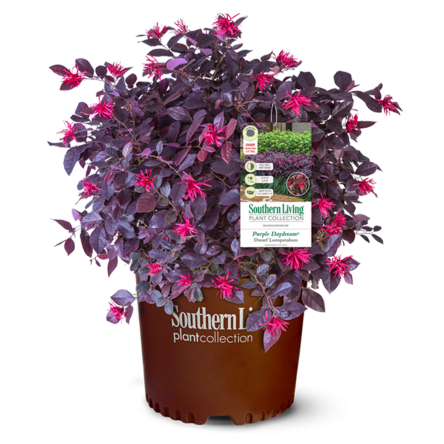 Makes an excellent container plant.